Deadlines have been extended for Mekong Business Initiative’s MATCh innovation accelerator. 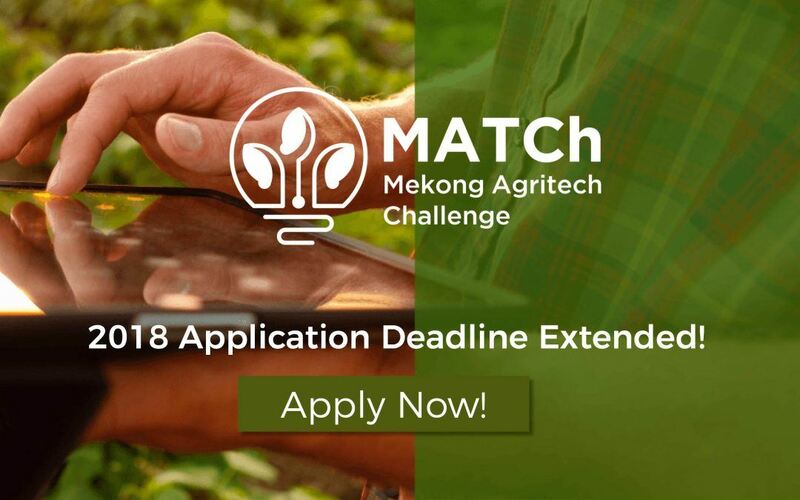 MATCh, Mekong Agri Tech Challenge, is seeking mature startups aspiring to enter new markets and budding startups with agritech solutions and products. The Greater Mekong Sub Region is rich in natural resources and ripe with opportunities to make your launch successful. Prepare your pitch decks! Market Access applications are open until the end of January. The startup accelerator track is accepting applicants until the 15th of January. Application forms are now available in Khmer, Lao, Vietnamese, and English. This is an exciting opportunity to catalyze long lasting changes in food production in the Greater Mekong Subregion.